Obituary for Alma R. (Robbins) Creighton | Thomas Funeral Home P.A. 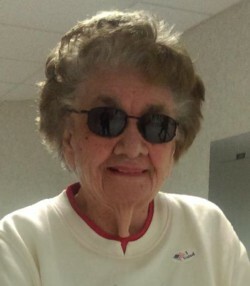 Alma Robbins Creighton, 95, of Denton formerly of Crapo passed away on Thursday, March 28, 2019 at her home with her daughter by her side. She was born in Robbins on September 4, 1923 and was a daughter of the late Corbett B. Robbins, Sr. and Mary Catherine Andrews Robbins. Mrs. Creighton graduated from Crapo High School. On July 3, 1949, she married Otis Creighton, who passed away on July 6, 2007. She was a house wife and she enjoyed singing, poetry, and church. Mrs. Creighton was a past member of Bounds United Methodist Church. She is survived by a daughter Lana Wilde of Denton, three step grandchildren Kim Wilde-Downes (Jay), Chris Wilde (Lauren) and David Wilde, Jr., three step great grandchildren, a sister in law Lula Spear of Cambridge, several nieces and nephews Cindy Jones (Paul), Jeff Robbins (Valerie), Edwin Robbins, Kathy Fitzhugh, Janice Evans (Steve), Dee Shamosh, and Charles James. Besides her parents and her husband, Mrs. Creighton is preceded in death by two brothers Gilbert Robbins and Corbett Robbins, Jr. and a son in law David Wilde. Pallbearers will be Austin Robbins, Ethan Robbins, Corbett Robbins, Scott Jones, Danny Cox, and Charles James. Honorary pallbearers will be Paul Jones, Jeff Robbins, Ricky Rossy, Gene Harper, and Edwin Robbins. A funeral service will be held on Wednesday, April 3, 2019 at 12 pm at Thomas Funeral Home, P.A. in Cambridge with Rev. Gary Crouch officiating. Interment will follow at Sandy Island Cemetery. Family will receive friends one hour prior to the service. In lieu of flowers, memorial contributions can be made to St. Johns United Methodist Church, c/o Doris Lewis, 3347 Golden Hill Road, Church Creek, MD 21622.